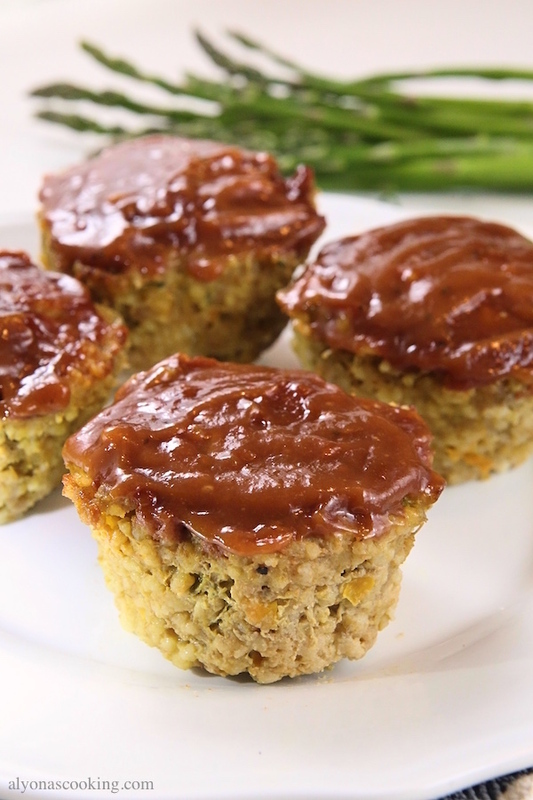 These Meatloaf Muffins are my favorite! Ground meat is combined with grated veggies and couscous, creating not only a healthy meat side but a really tasty one. You probably won’t even detect any “healthy ingredients,”these are so good! 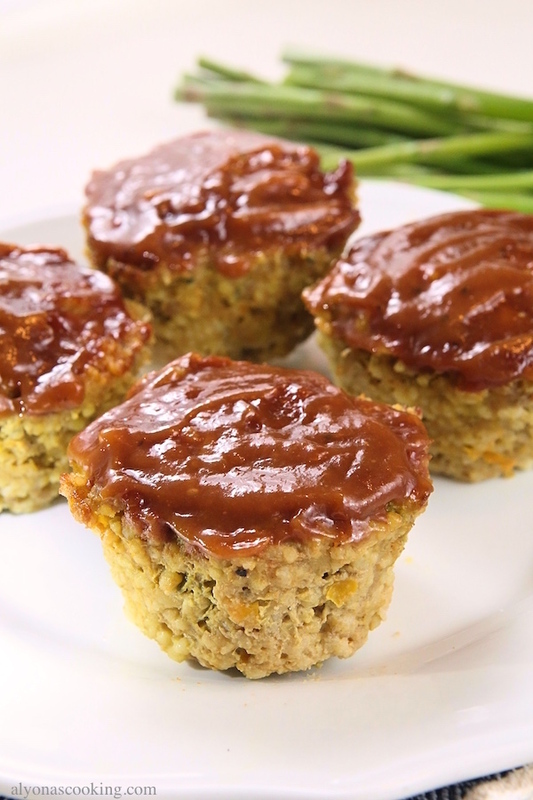 This is a great way to use up some veggies and incorporate couscous into your meal as you can hardly detect any grain in these tasty mini meatloaf cups. 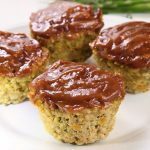 These meatloaf cups are pretty versatile as you can change up the veggies and use any ground meat you prefer. A must try meat side even if your not on any diet (these are seriously really good! 1. Spray a standard muffin tin with cooking spray and preheat oven to 400 degrees F.
2. Combine all the ingredients except for the bbq topping mixture. Scoop beef mixture into each muffin cup and top with about 1 heaping tsp full of bbq sauce mixture. 3. Bake for 25 min or until done. Allow to cool for 5 minutes then remove. 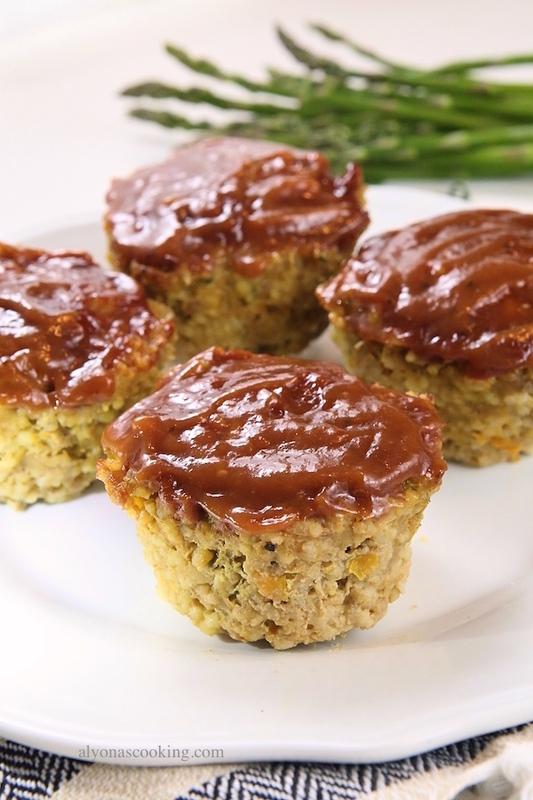 These Meatloaf Muffins are my favorite! Ground meat is combined with grated veggies and couscous, creating not only a healthy meat side but a really tasty one. Spray a standard muffin tin with cooking spray and preheat oven to 400 degrees F.
Combine all the ingredients except for the bbq topping mixture. Scoop beef mixture into each muffin cup and top with about 1 heaping tsp full of bbq sauce mixture. Bake for 25 min or until done. Allow to cool for 5 minutes then remove. Thanks for another great recipe. Quick question, did you use any salt or black pepper or any other spices in your mixture? Do you think that it was taste good with ground chicken as well? Thank you! I absolutely love your recipes. Thank you Natasha, that’s wonderful to know:) Yes, ground chicken should probably work. 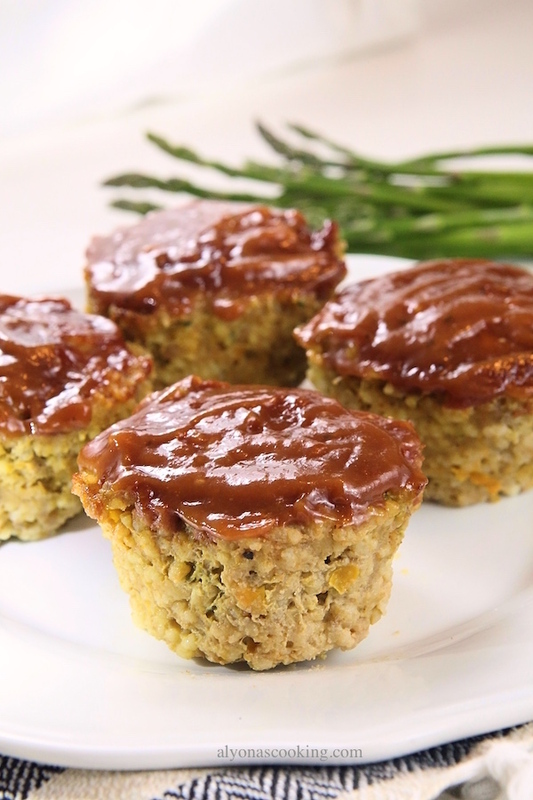 I think any preferred ground meat should work for these muffin cups. These are really good the way they are without the extra seasoning, as the bbq mixture gives these a boost of flavor and perhaps the veggies contribute to some flavor, but if you want you can season these to taste. Also if using Worcestershire or soy sauce, these liquids are already seasoned so be easy on the salt level when using.